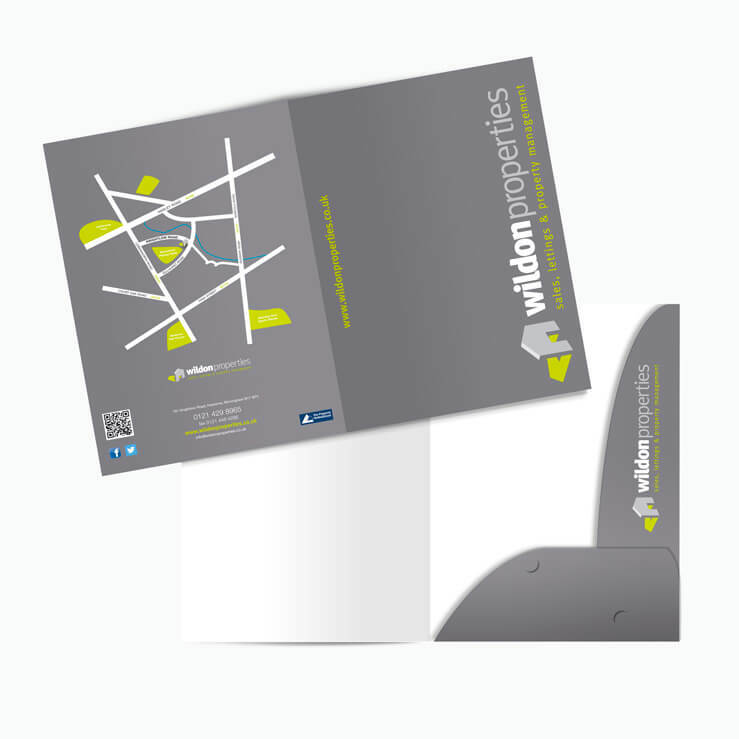 Our Estate Agency folders are available in various formats to suit different requirements and budgets. 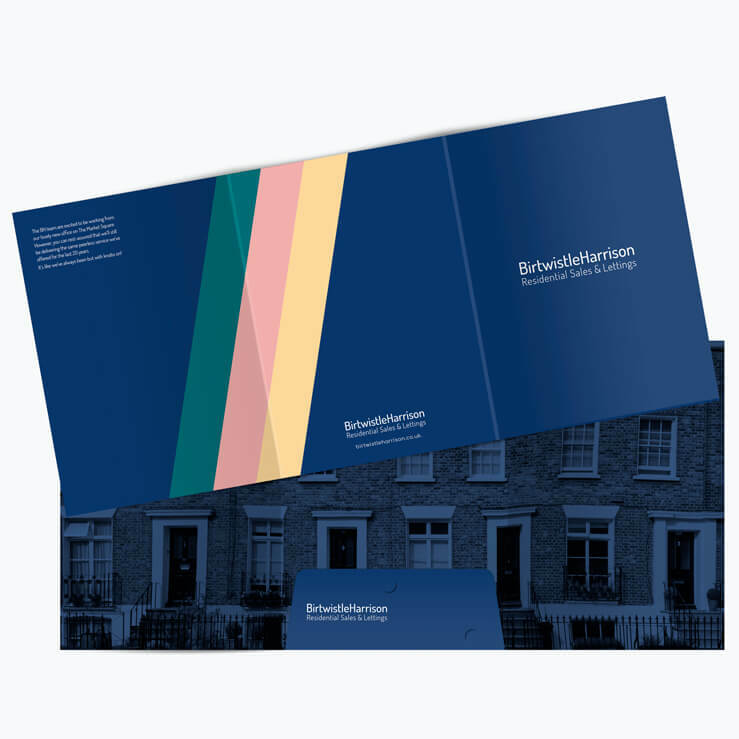 A quality estate agent folder is a great asset in a professional presentation and perfect to leave behind after a valuation. 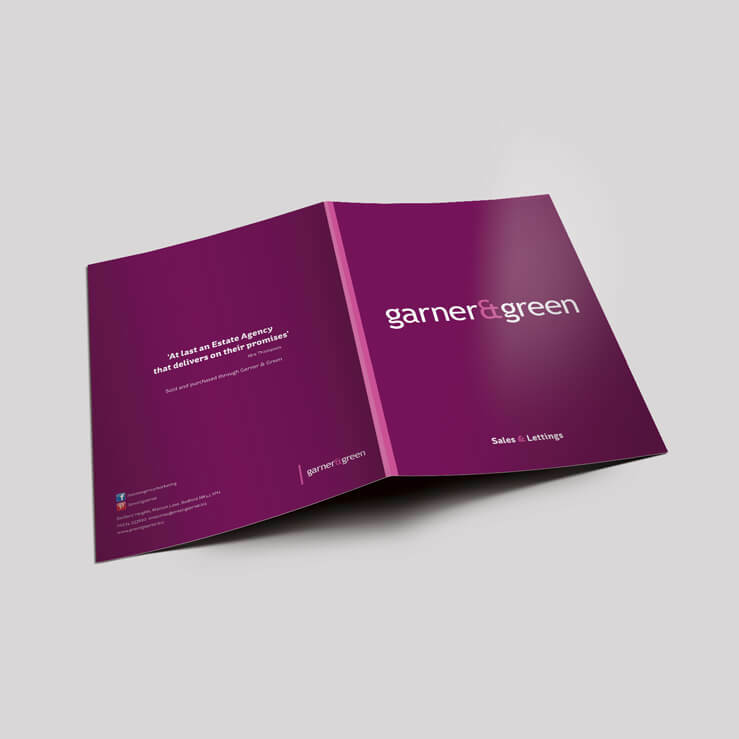 Our folders are litho printed on a thick 400gsm silk and are available with a choice of finishes including, Matt or Gloss lamination and Spot UV varnish. 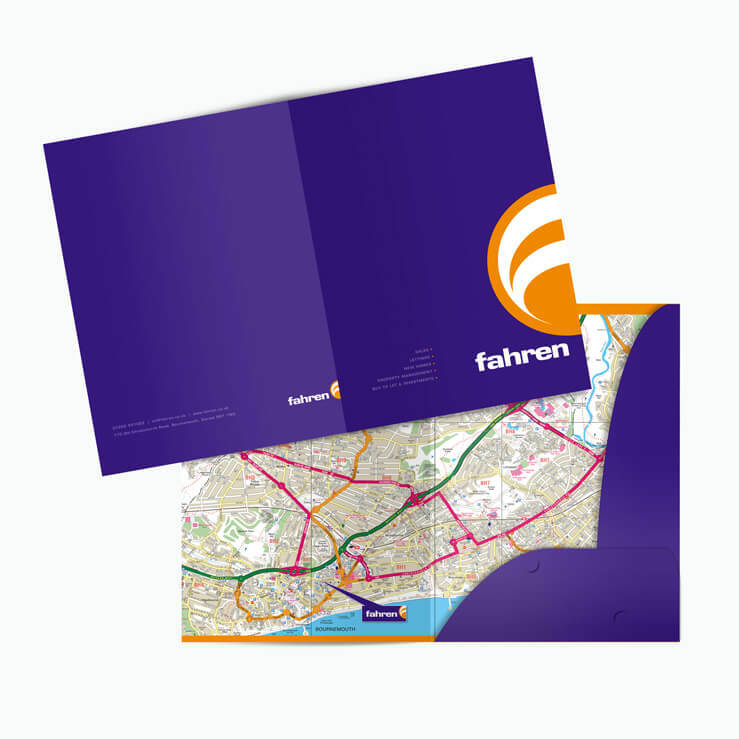 The finish size is slightly oversized A4 to comfortably contain A4 inserts. 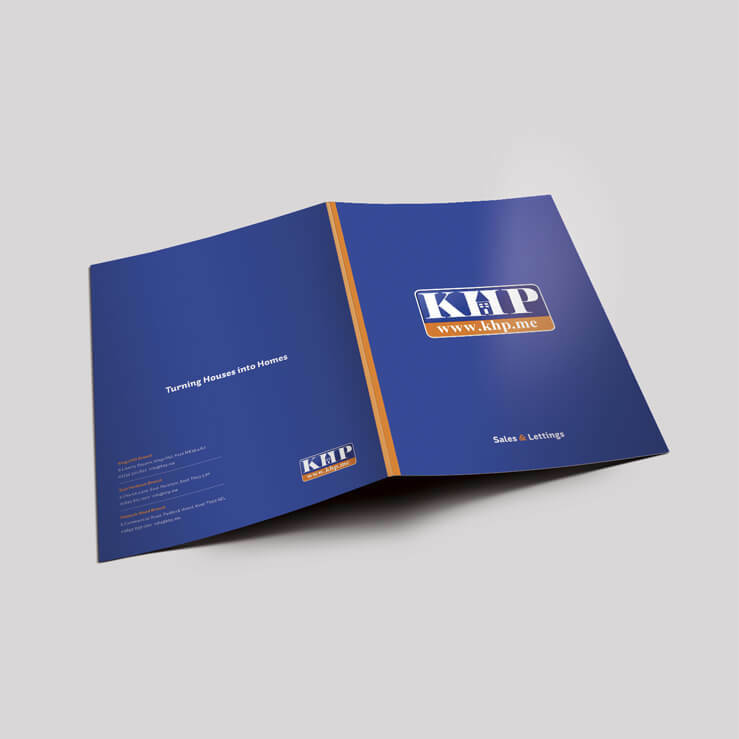 The 5mm capacity give space to easily contain 50 sheets of standard A4 80gsm copier paper. 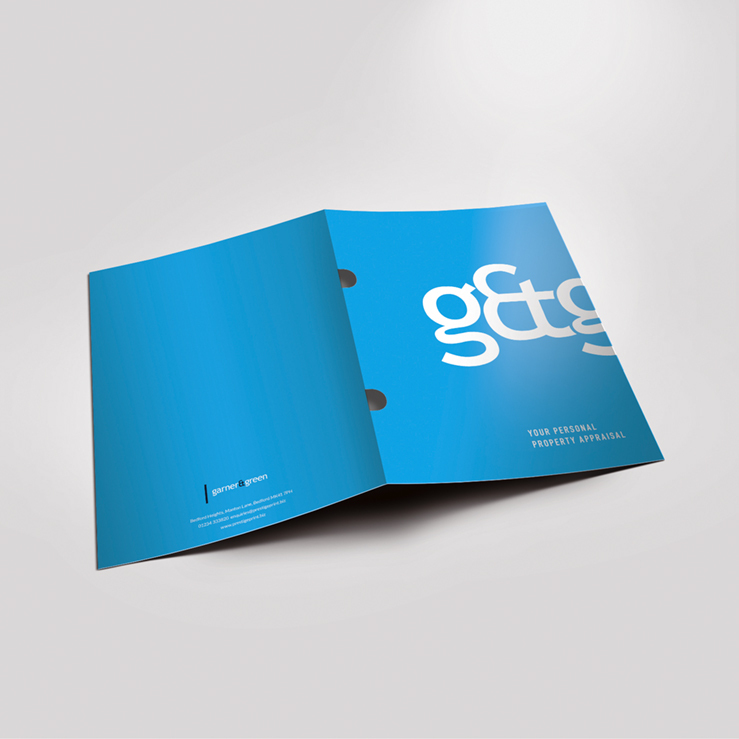 Artwork and design is included with the standard price of our printed folders . 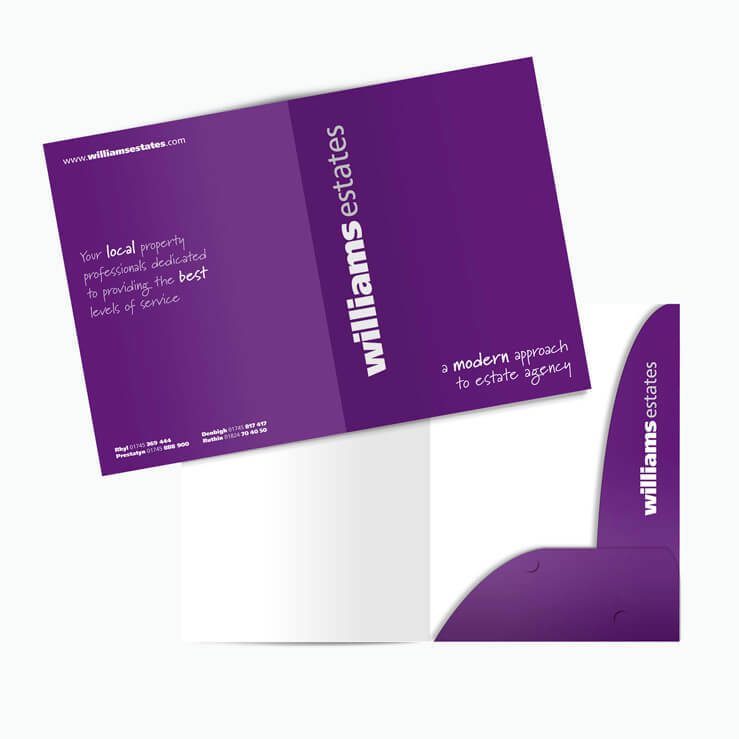 Usually we keep the design simple and focused on the estate agents branding. 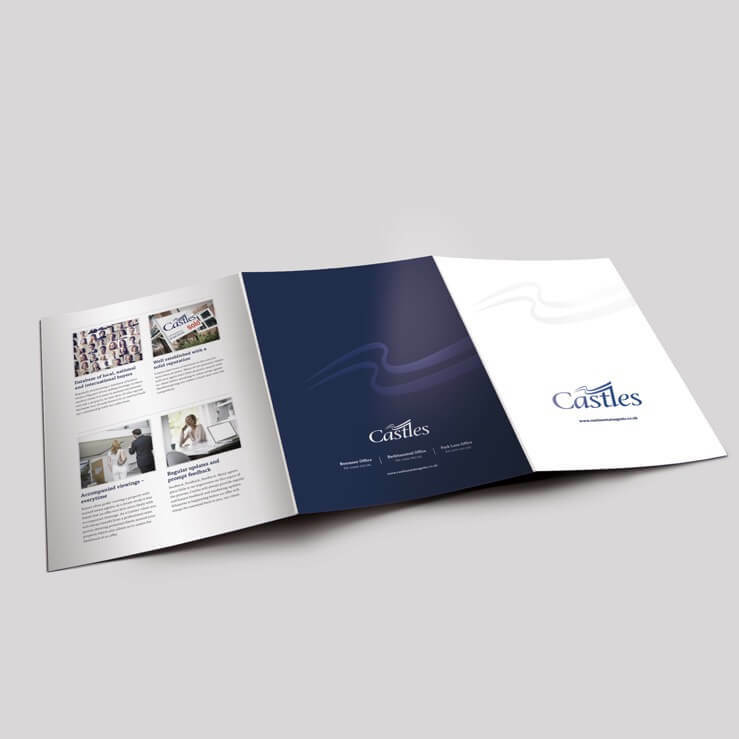 In most cases the folder is going to be a ‘container’ for other printed materials. 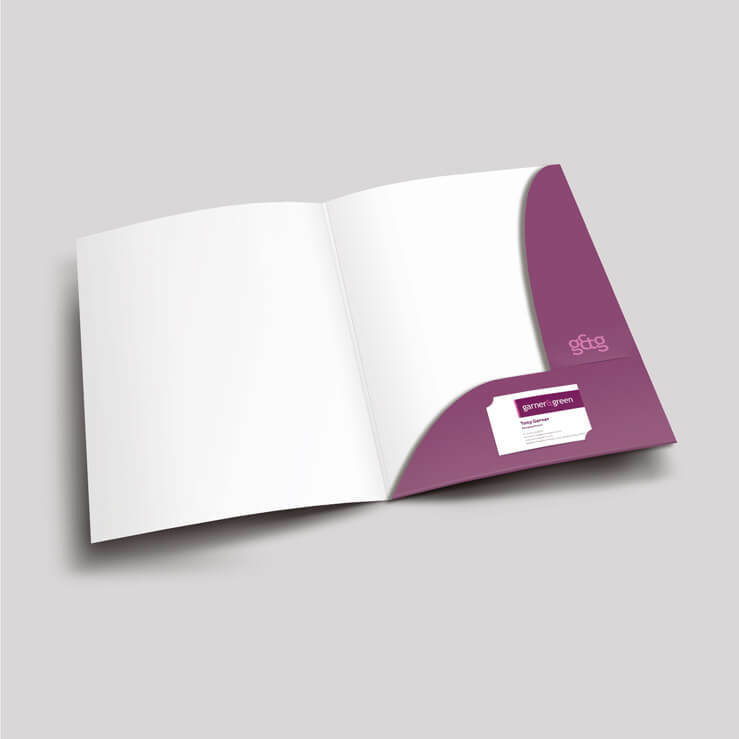 A simple design can give a folder more flexibility of use i.e. 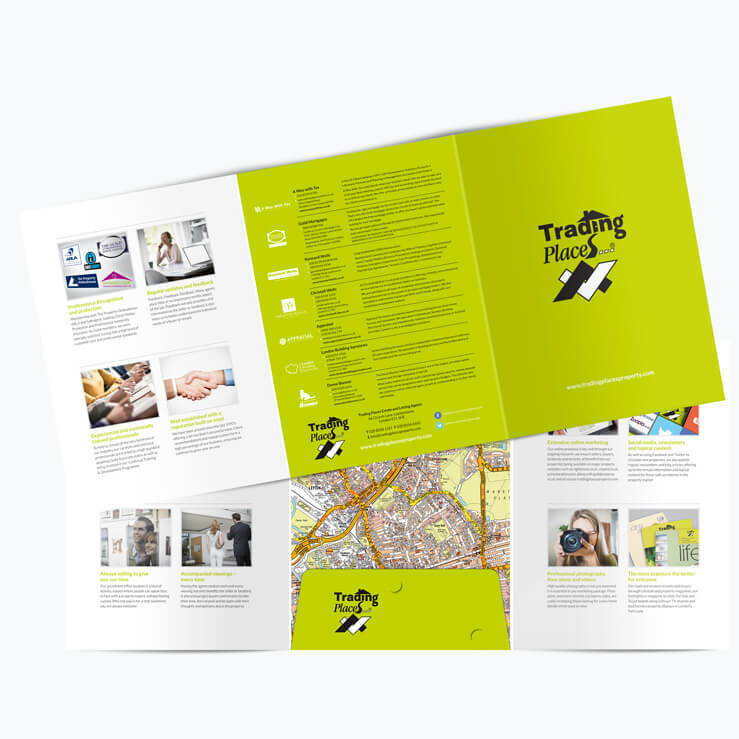 is could be used for sales or lettings departments and the less detail it has, the less likely it become out of date! 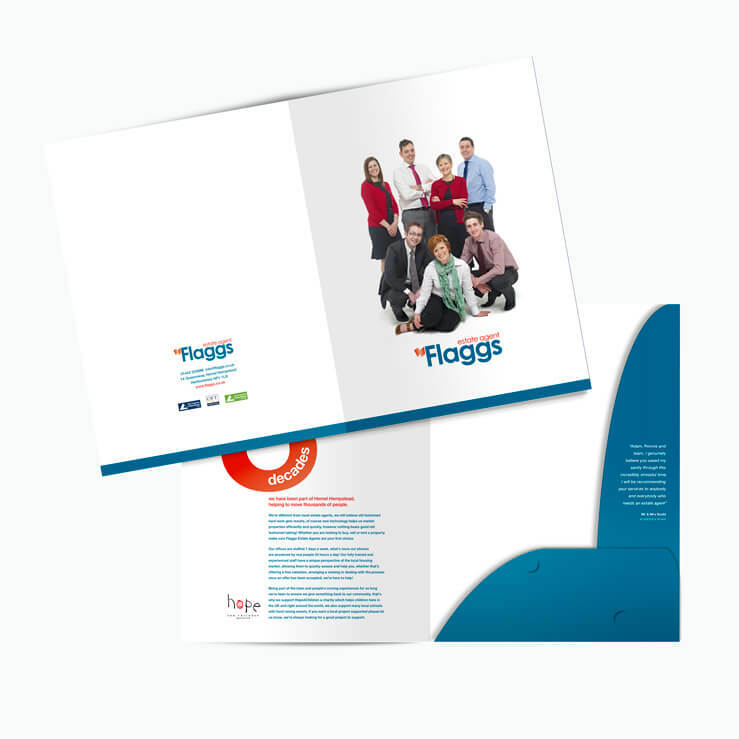 Our most popular folders are an oversize A4 portrait printed one side with 5mm capacity containment flaps secured with a simple interlock with a matt or gloss laminate finish. 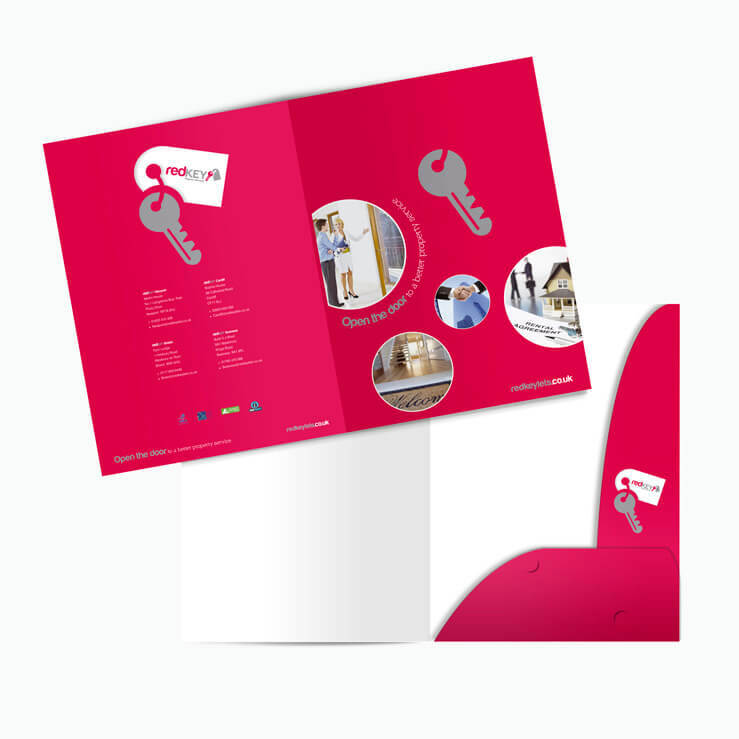 The folders are supplied as flat sheets, already creased for the customer to make up as required. 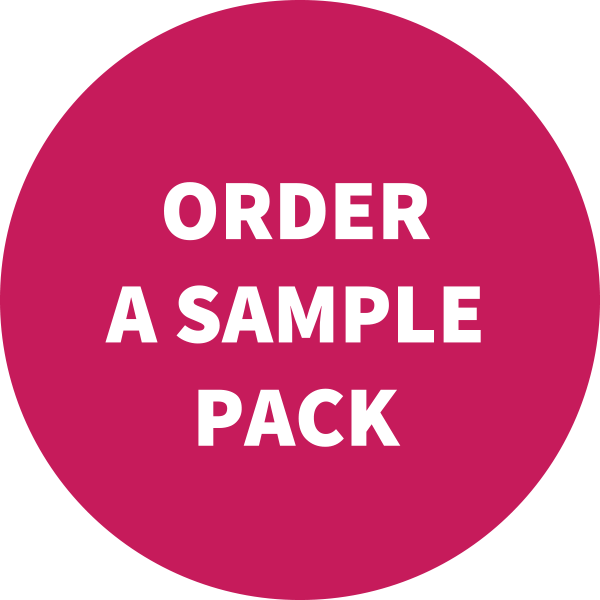 They are quick and easy to make up, the interlock works avoiding the need for fiddly glued flaps and as they are supplied in flat sheets they take a fraction of the space to store as ready made ones. 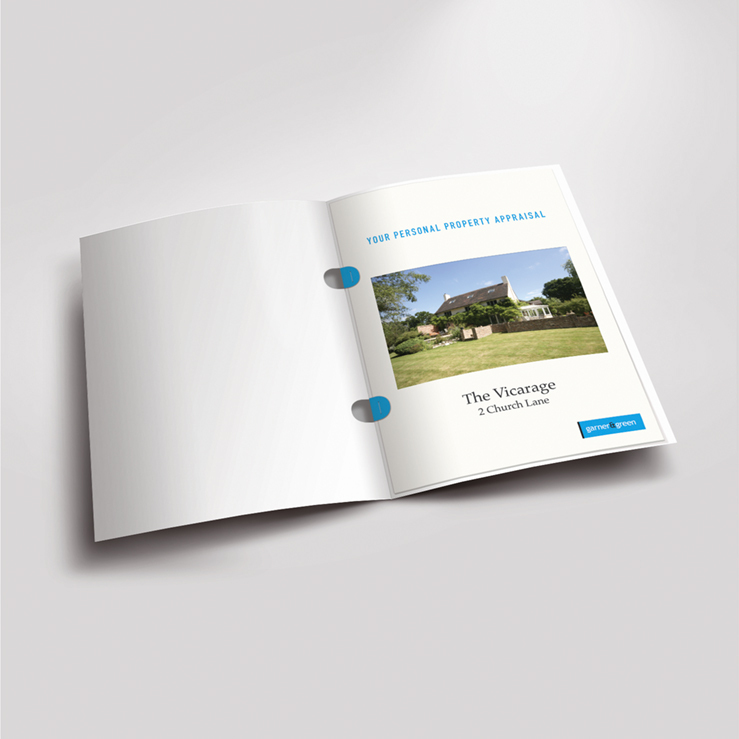 Cost £975 + VAT for 1,000. 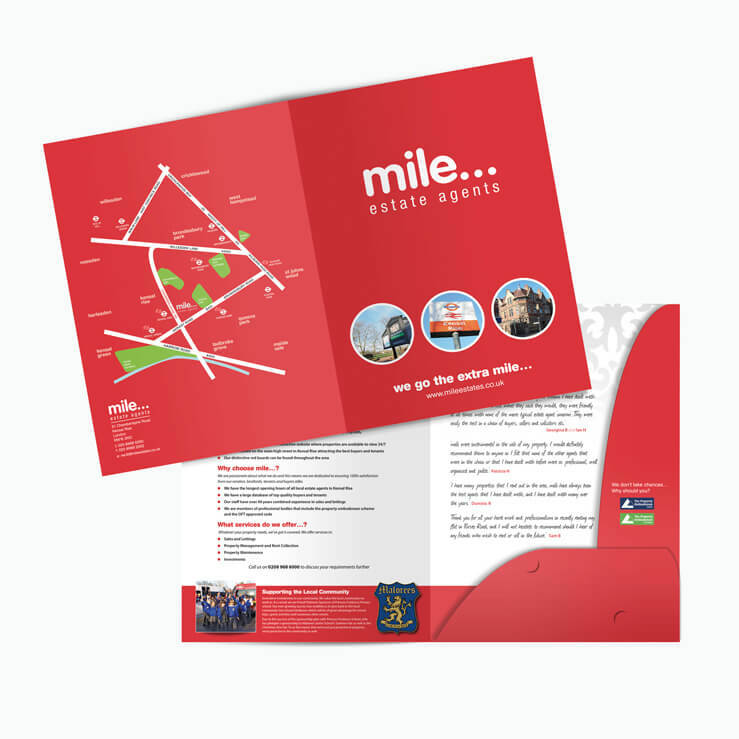 Same specifications as our most popular standard estate agency folder but printed both sides. 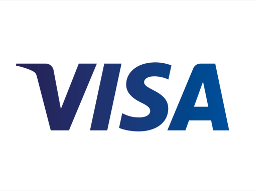 Cost £1,200 + VAT for 1,000. 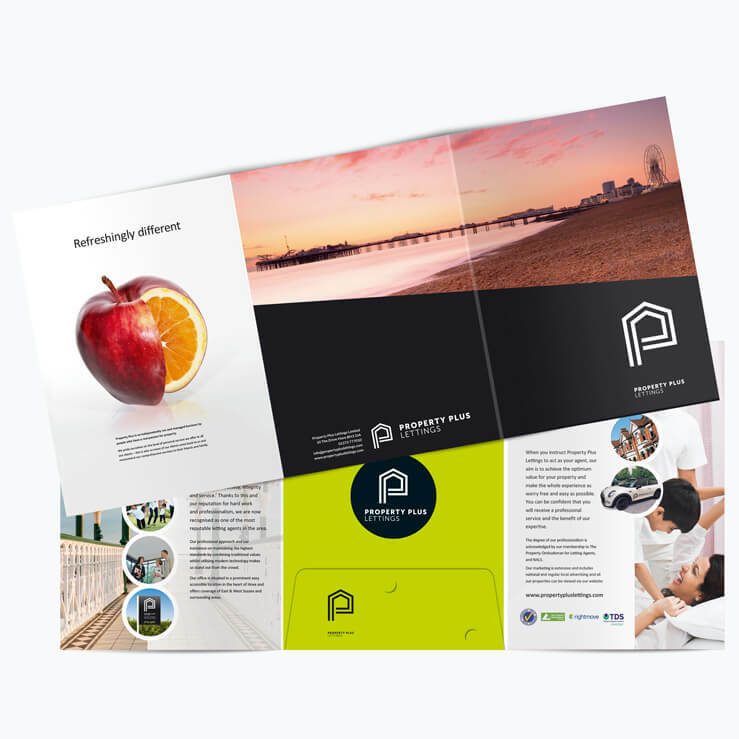 With 3 pages to view, the extra size allows for more design opportunities and could be helpful as part of a presentation. A matt or gloss laminate finish to the outside is included in the cost. 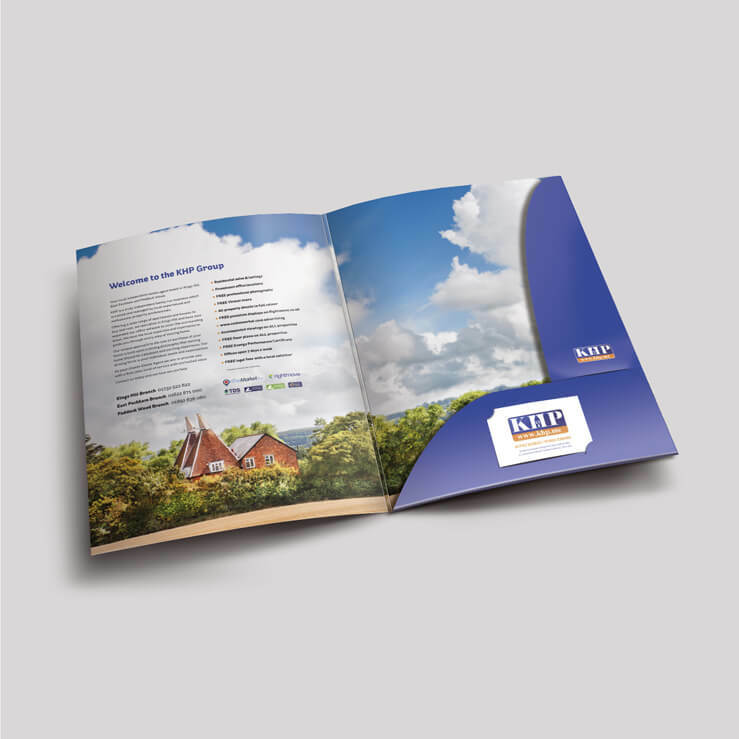 Spot UV is available at an extra cost. 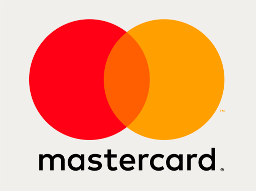 Cost £1,400 + VAT for 1,000. 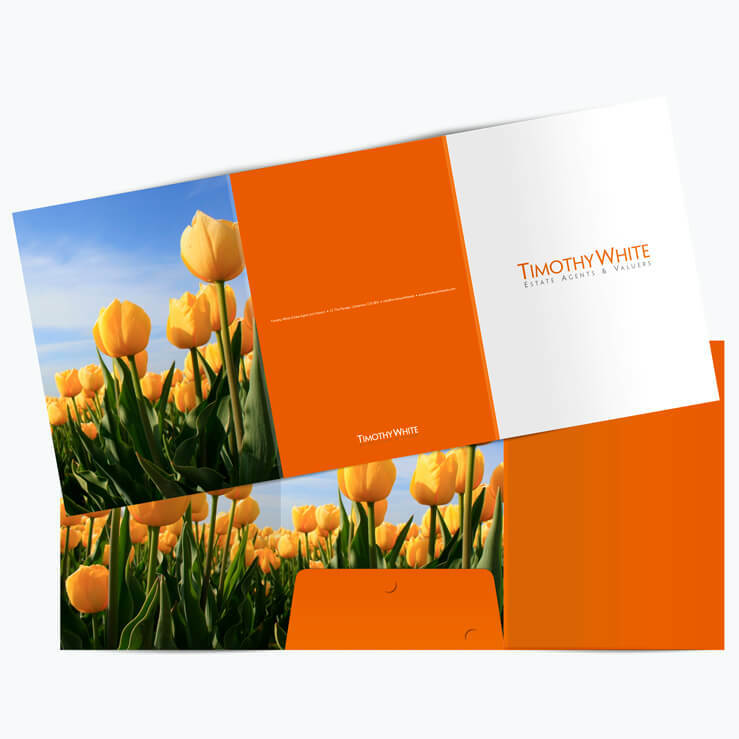 These folders are designed to make a quality presentation of your marketing reports. 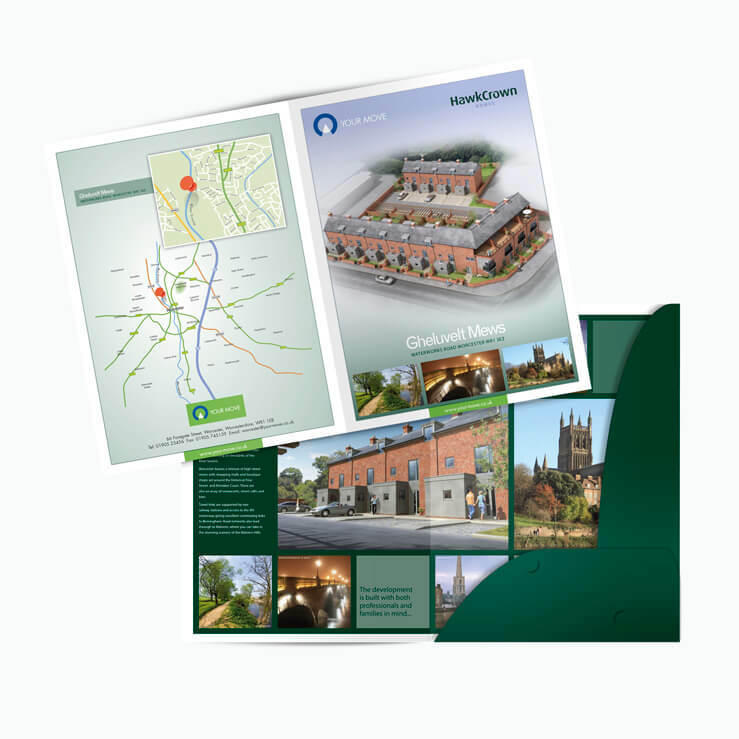 Printed on a 250gsm silk, outside only with a gloss or matt lam finish. 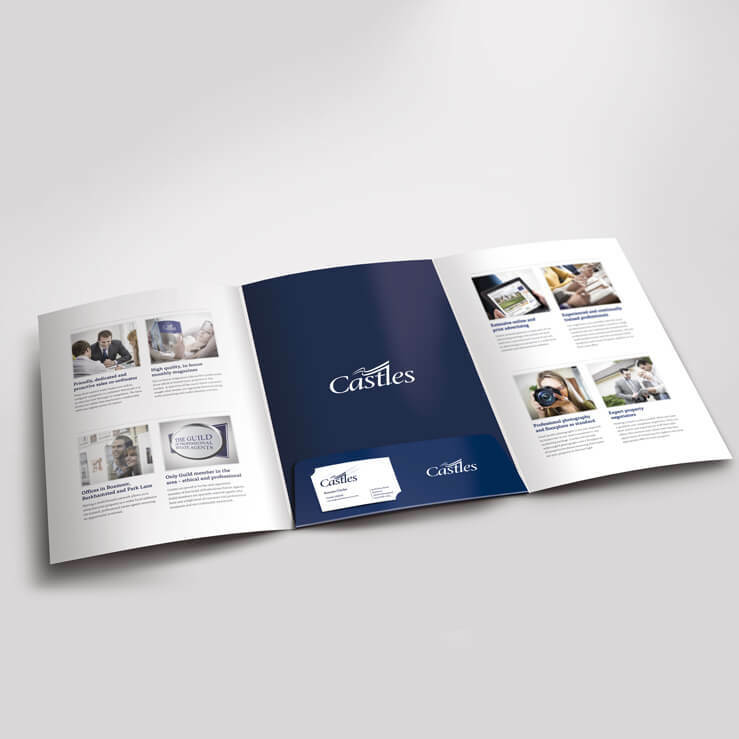 There are 2 semi circle die cuts which allow you to staple the marketing report into the back cover of the folder, holding it securely and still allowing for an easy page turn.